Glamping is “Glamorous Camping” and it’s a hot trend right now. 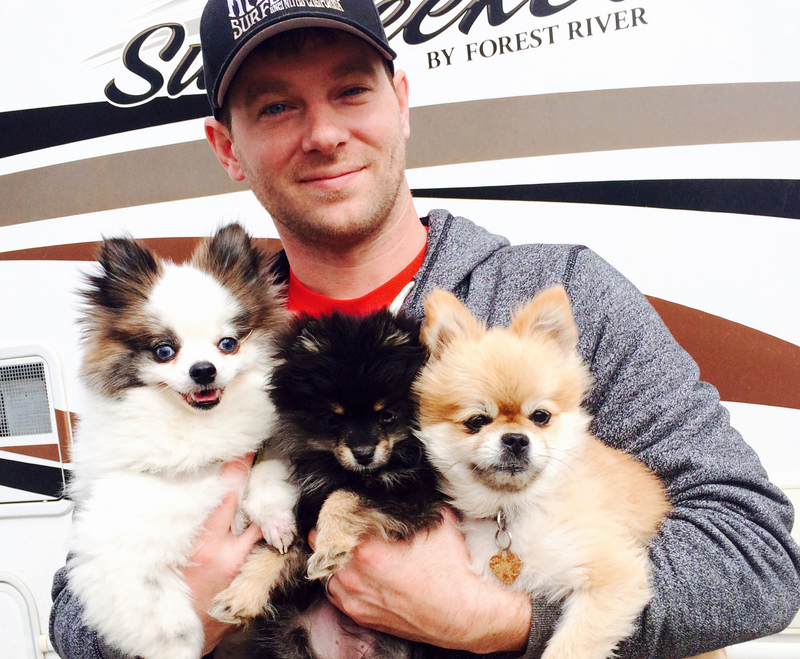 We’ve found that Glamping in an RV is the perfect way to go, especially for full timers. You get all the benefits of Glamping with limited downside. The most common ways to Glamp are tents, yurts, cabins or RVs. Some companies set up cabins, yurts or RVs so all you have to do is show up and everything is set up and taken care of for you. Tenting and Yurts can be fun but you have to deal with setting them up and taking them down. RVs are our favorite because once you’ve set up your RV for Glamping, the only time you have to do any work is when you move locations. You can Glamp anywhere. Many people choose to Glamp in the middle of nowhere which we’ve done. 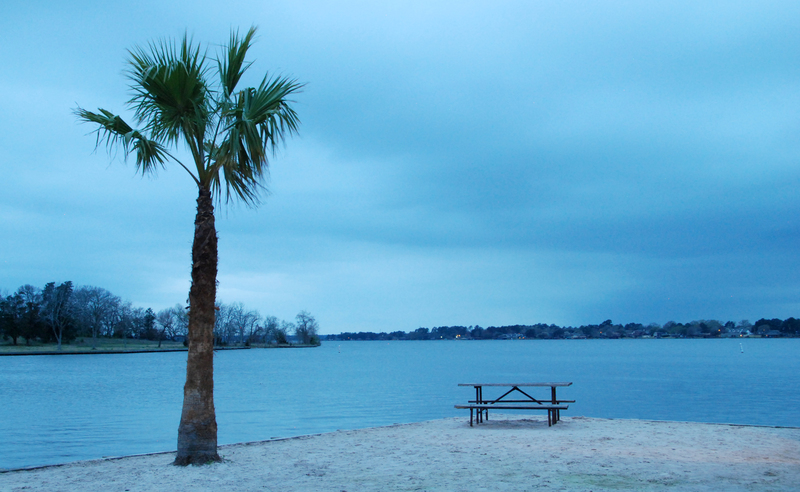 But recently we had the opportunity to Glamp at the Thousand Trails Lake Conroe RV Resort. 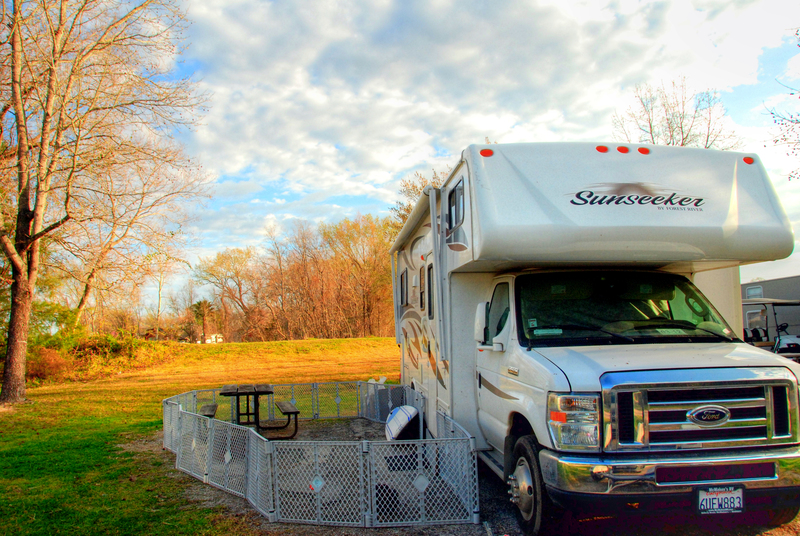 It’s been newly renovated which makes for perfect RV Glamping. 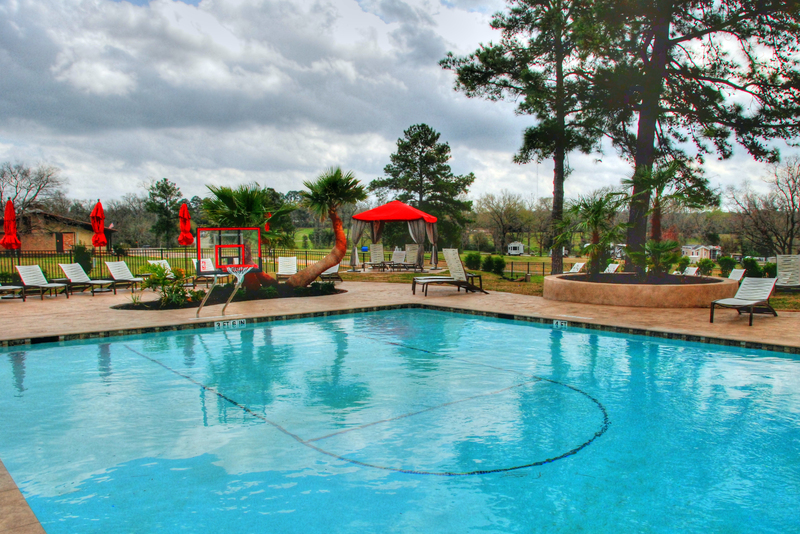 One of the reasons we often stay at Thousand Trails RV Resorts is because Danielle loves having the amenities that take the roughing it out of camping. She put up with roughing it while tent camping with me for many years. Check out this picture. 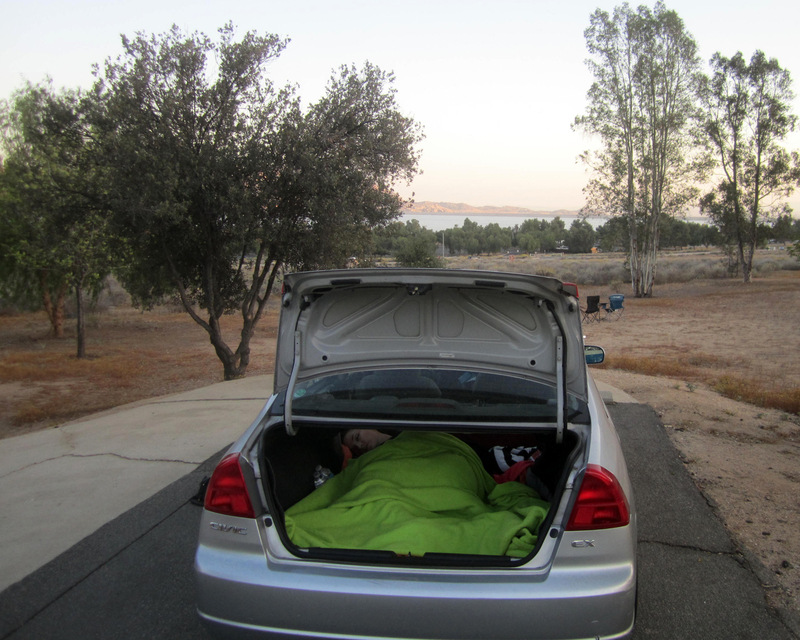 One of the reasons she loves RVing is I’ve been known to take us camping, but forget the tent! The reason I love the Thousand Trails Resorts is because they usually are in scenic areas with all the best outdoor adventure activities. 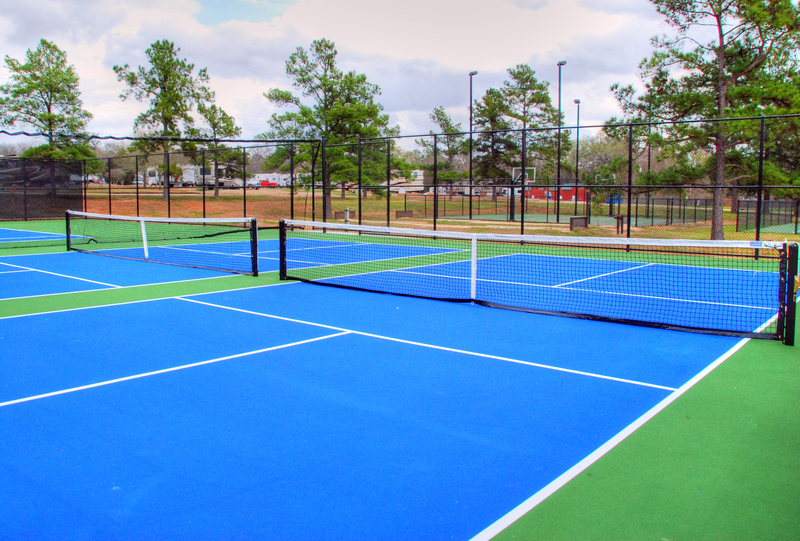 The Lake Conroe Resort has things like Hiking Trails, Kayaking, Basketball, a Baseball Field, Pickleball, Mini Golf, Tennis, and so many more! 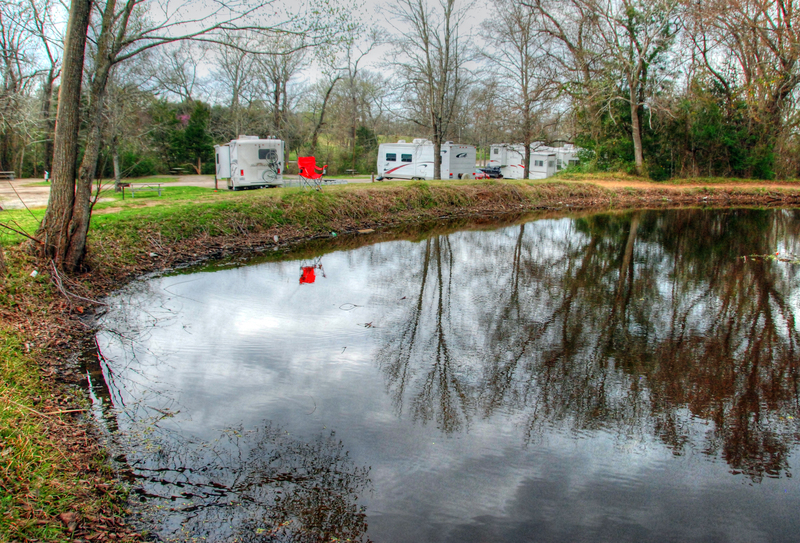 Here’s some of the reasons why this RV Resort was great for Glamping. 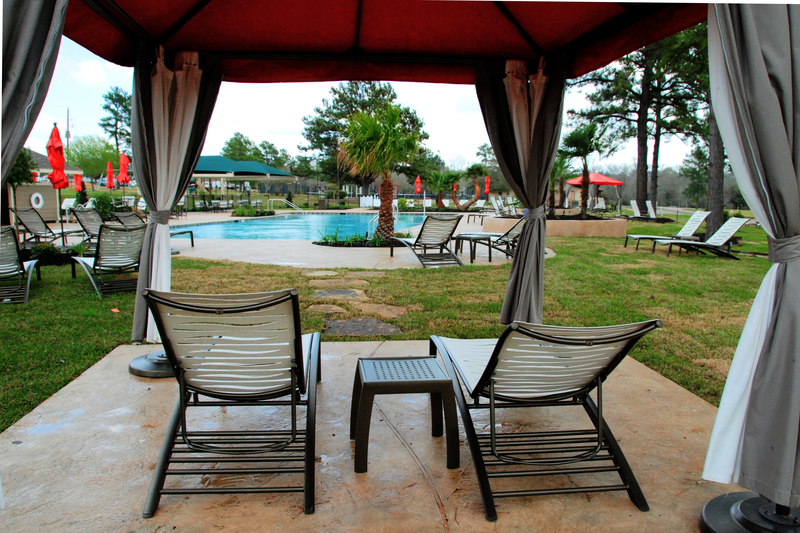 It’s got nice cabins you can rent to get the outdoor cabin feel in a beautiful resort with full amenities. 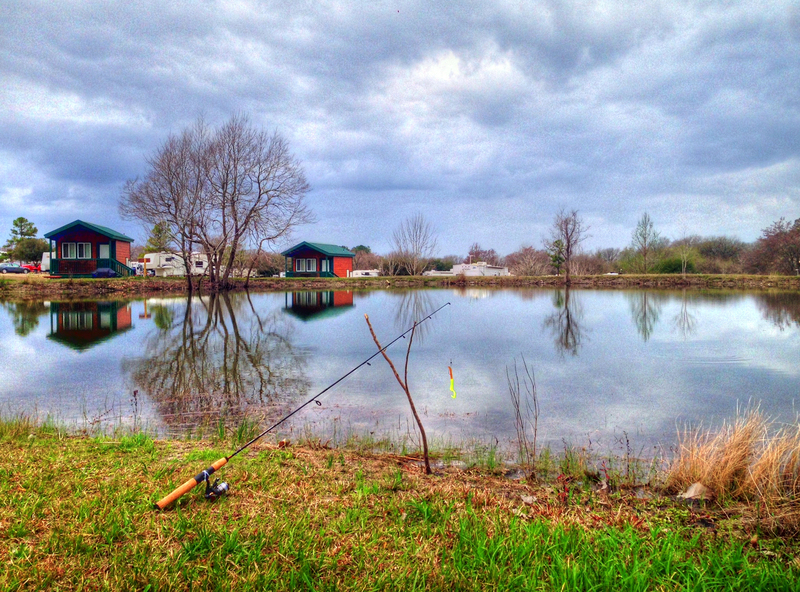 A nice lake with great fishing makes for a better Glamping experience. 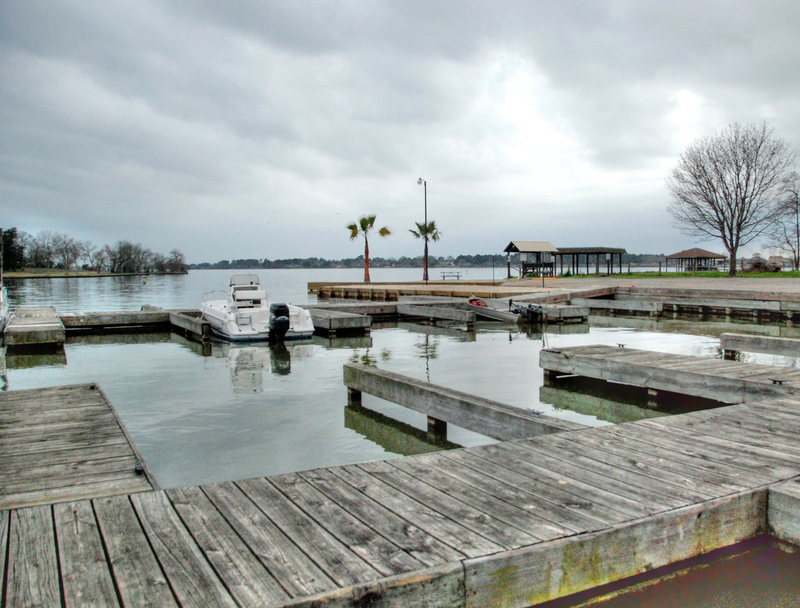 Docks and a boat launch really caters to the Glamping Community. Add some white sand and palm trees to the lake and it takes it to another level. Fishing on a lake can be great, but you can also strike out. 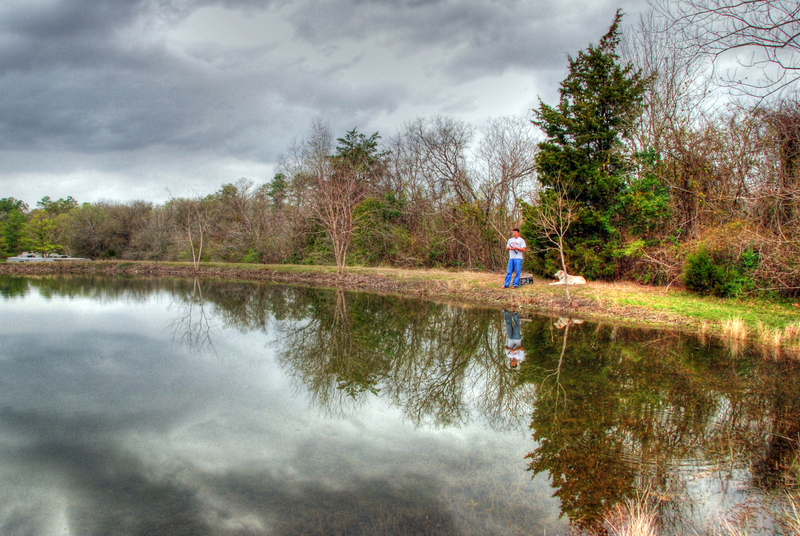 A way to help the guests catch more fish is to build stocked ponds. 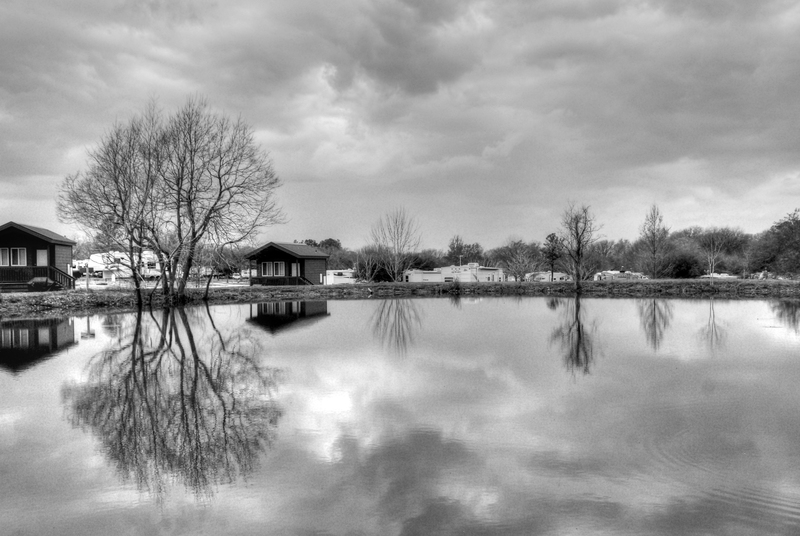 This particular RV Resort has 2 fully stocked fishing ponds. 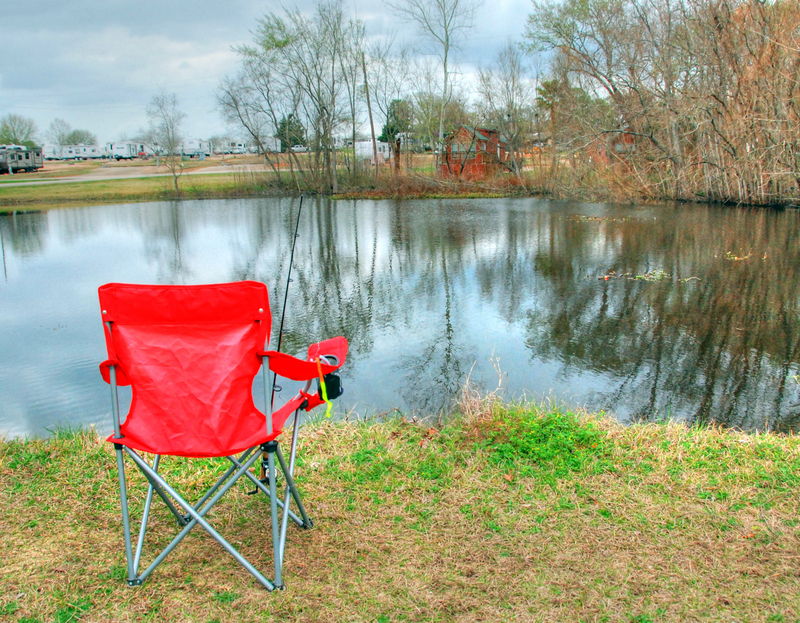 We parked up to the Catfish Pond so I set up a chair to relax in downtime to fish. I found myself drawn more to the Bass Pond which was just a quick walk away. A pool and hot tub are hot topics for Glamping. 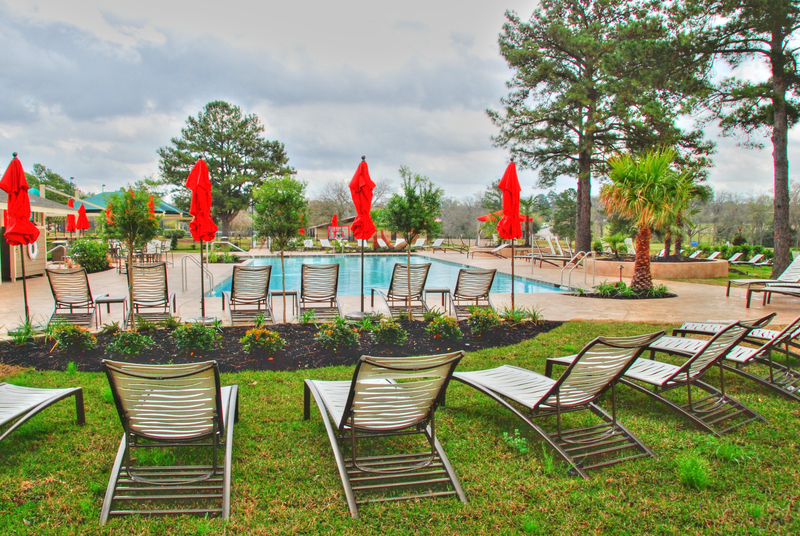 Heated pools are increasingly becoming more and more popular. Nobody wants to get into a cold pool. Most of the RV Resort we visit have some form of workout centers. 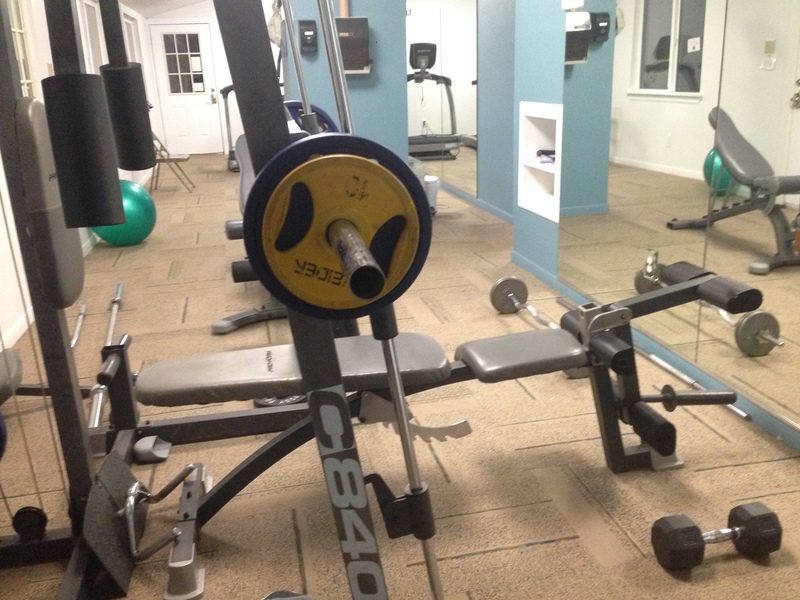 However they are typically limited and it’s extremely rare to find one with a full weight gym. 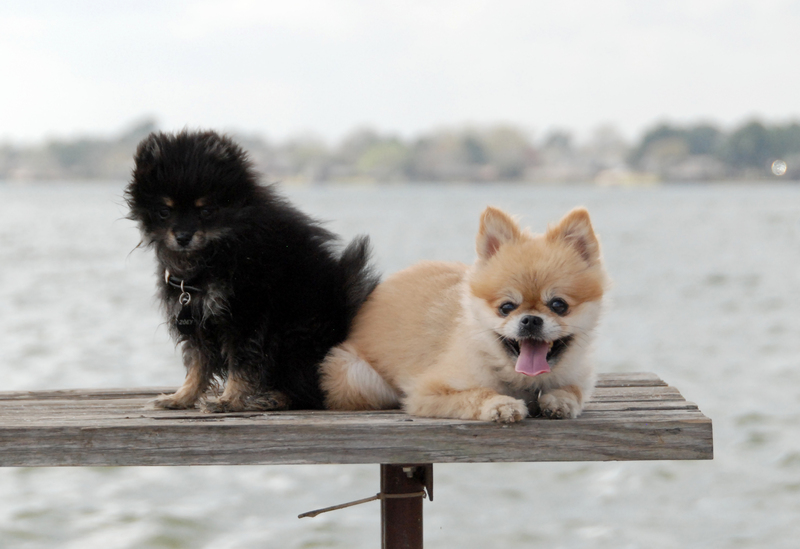 And lastly, it’s tough to have Glamping without Pomeranians! Now get out and Glamp!